During the British Raj, most Bharuchi Vahora Patels were landowners and farmers. They were economically well-off. However, they were ambitious and ready to go abroad in search of better life. According to Akbarali Sayyad (researcher and writer of the four volumes of the Informative Sketches of Leading Muslims of Gujarat), Bharuchi Vahora Patels are full of adventure. They have settled in remote parts of the world and prospered through hard work and perseverance. During British rule, workers were needed for the railways and other projects in Africa. Many Bharuchi Vahora Patels seized this opportunity and migrated to African countries. 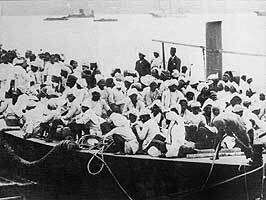 According to the information obtained from our elders, a crier would go round the villages inviting anyone wanting to migrate to Africa to report to Mumbai port on the date that a boat was due to leave. Thus many Bharuchi Vahora Patels migrated to Africa. Initially they went with the idea that they would make some money and come back to India. Some did return but most stayed on and called their families whom they had left behind in India. Some married local women and raised their families there. They started as labourers, but soon established their own businesses and prospered. When Gandhiji went to South Africa as a lawyer, Nathalia Seth, originally of Tankaria, was a prominent businessman and social worker there. Gandhiji represented Nathalia Seth in a court case. 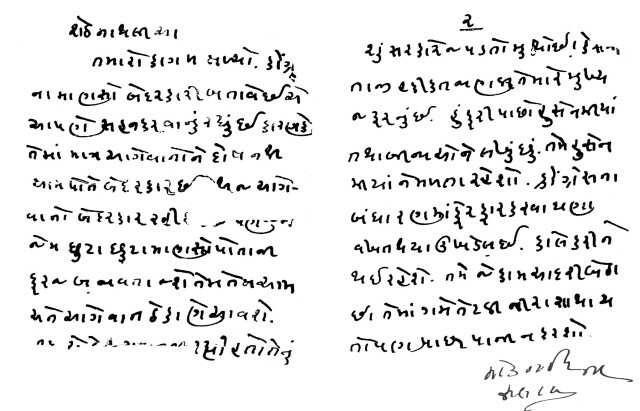 There was correspondence between the two in Gujarati. Here we reproduce a letter from Gandhiji in his own handwriting. Received your letter. We have to tolerate the negligence of Congressmen. It is not the fault of the traders alone. The common men themselves are negligent, therefore, the leaders do not care. But as isolated individuals will continue to do their duties, the leaders too will come round. Has the Government abandoned the case? I need to know the latest developments. I am writing again to Husainmiya and others. You may also continue to see Husainmiya. There has been a proposal to change the constitution of the Congress. Eventually it will happen. Do not back out from the task you have started, whatever the setbacks. Wali Mohamed Adam, born in Paguthan. eldest son of Adam Omar, went to Nyasaland (Malawi) in 1906, then to Fort Jameson in 1916. A prominant businessman, he set up shops in Lusaka too. He was the first man to travel by car from C. Africa to India and back! Moosa Essa. Born in Vahalu. Went to South Africa in 1880 and stayed in Cape Town. Prominent member of Indian Muslim community. According to Ibrahim Dadabhai “Bekar”, the editor of “Patel Mitra” Gujarati magazine, the first Bharuchi Vahora Patels who migrated to Africa were from Dayadara. They travelled in small boats. This was about 250 years ago. Ismail Yusuf Patel of Dayadara went to Java in 1921 and from there to Congo in 1929. Moosa Essa, born in Vahalu, went to South Africa in 1880 and stayed in Cape Town. He was a prominent member of the Indian community. Musa Adam Chand of Tham migrated to Cape Town in 1898. Musa Umarji Patel of Tankaria went in 1908. Musa Isa Patel of Pariej went to South Africa in 1916. Muhammad Dakri of Valan went to Nyasaland in 1916. Vali Bux Safri of Tankaria went to Johannesburg in 1920. He was a prominent hotelier there. Ismail Muhammad Patel of Sitpon went to Beira port in East Africa in 1920. Ibrahim Dudhia of Sitpon went to Beira in 1930 and then to Fort Jameson now known as Chipata, Zambia in 1946 where he became a prominent wholesaler. Ibrahim Patel of Haldarva went to Nyasaland in 1927. He opened a shop where every item would cost six pennies. So he came to be known as Ibrahim Six Penny! Umarji Isa Adam of Dayadara was a social worker in Johannesburg. He was Secretary of Transvaal Kanamiya Association. Dula Umar of Dayadara was a close associate of Nelson Mandela and later became a cabinet minister in South Africa. After independence, the trend continued. Many educated Bharuchi Vahora Patels migrated to Africa. In 1936, at the young age of 16, Dawood Ahmed Munshi of Manubar rode a ship to Mombasa, Kenya and then travelled to Congo to work as a stock boy with Indian traders called Nasser & Company. His brother Abdul Rahim Munshi of Manubar graduated from Mumbai and went to Mombasa, Kenya in 1950 where initially he took a job as an accountant. In 1958 the youngest brother Mohamed Munshi migrated to join his brother Dawood in Congo where they prospered as successful businessmen. Apart from businesses, Bharuchi Vahora Patels occupied high positions in various departments. Muhammad Musa Patel of Sitpon was the Principal of the Aga Khan High School in Zanzibar. Ismail Patel of Vahalu and Vali Patel of Pariej were High School teachers. Yusufji of Khojbar, Ibrahim Kabir and Ismail Muramunshi were also teachers in Dar-es-Salaam, Tanzania. Gradually, the Bharuchi Vahora Patels settled in African countries like the Congo, Malawi, Uganda, Zambia, Zimbabwe etc and engaged themselves in businesses big and small. At present, Muhammad Zangharia-Munshi and his sons of Tankaria, settled in Lusaka for a number of years now, are in the wholesale business of fashion fabrics. Abdul Chand of Dayadara is a man of vision and a dedicated educationist who has been running his own private secondary school in Lusaka. Maulana Musa Ibrahim Menk of Vantersa, settled in Harare for well over half a century now, is a renowned scholar of Islam, dedicated to the cause of teaching and preaching Islam particularly amongst the native population. 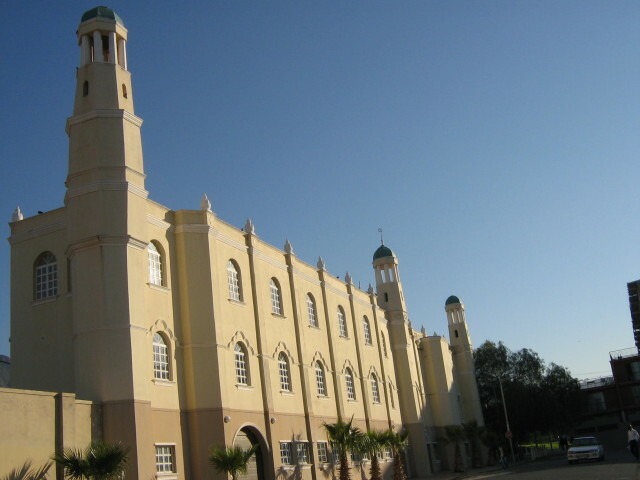 Together with his two illustrious sons, Maulana Shabbir Musa Menk and Mufti Ismail Musa Menk, he has been running a Darul Uloom in Harare where they teach the local Muslim students to become qualified Alims and Imams to carry on the noble work of teaching and preserving true Islam amongst the Muslims living in the remote villages. Their work does not end there. 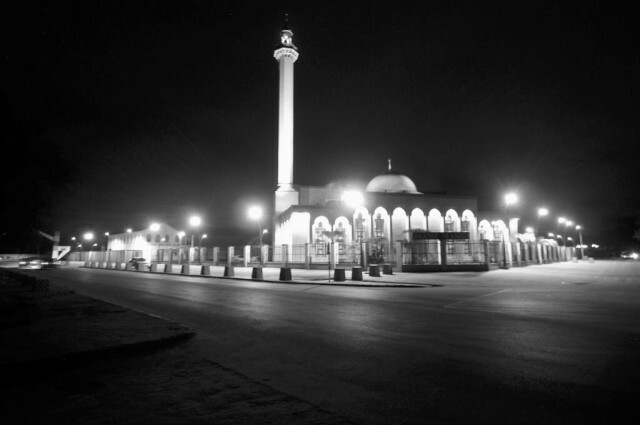 It extends to other surrounding countries like South Africa and Maulana Shabbir is a regular visitor to a masjid in London, especially during the holy month of Ramadan, from where he undertakes a lecture tour of other towns and cities of Britain, delivering educating and inspiring lectures in English, especially for the benefit of the younger generation. Even today, in 2011, young Bharuchi Vahora Patels migrate to African countries, especially to South Africa. Although it is not a safe place at present, because of law and order problems, and about 20 Bharuchi Vahora Patel youths have lost their lives in the past five years in suspicious circumstances, a number of youths still take the route to African countries due to the lack of job and other opportunities back home, thinking it is better to take the risk than remain jobless and idle at home. Note: This chapter on Bharuchi Vahora Patels in Africa is rather sketchy and does not contain detailed information. If any member of our community living in Africa could collect information through a proper survey and pass it on to us, we will include it in the second edition of this book.